Swedbank is a socially responsible company, consistently meeting its assumed obligations relating to sustainability. Sustainability is encoded in our bank’s business vision and values. Furthermore, it is reflected in your primary goal. Our vision is to enable people, businesses and society to grow. Our values show that we are simple, open and caring. Our purpose is to promote a sound and sustainable financial situation for households and businesses in general. We operate in compliance with the UN Global Compact principles in the areas of human rights, labour, environment and anti-corruption. We are a co-founder of the Responsible Business Association of Lithuania and part of the National Responsible Business Network. In the workplace, we comply with the Employee Code of Conduct. We also follow procedures and rules regulating potential conflicts of interest and transactions of financial instruments concluded by employees. The bank applies a whistle blowing procedure for reporting conflicts of interest and breaches of ethics. We promote a working environment encouraging employees to report suspected violations of internal and external laws, legislation or unethical behaviour without fear. Our employees also submit an annual declaration of economic interests. Respect for human rights and compliance with them is the foundation of the Swedbank vision and values. The Policy on Human Rights adopted by Swedbank Group can be found here. We are highly focused on the reduction of climate change and pollution. We measure the annual impact of our activities on climate change by assessing the level of CO2 emissions. More information about environmental activities, specific objectives and achieved results of Swedbank Group can be found here. We conduct activities in accordance with the national legislation, which enacts the provisions of the EU Directive on the prevention of money laundering, terrorist financing, corruption and bribery. Swedbank Group has established and is regularly updating internal policies, procedures and regulations concerning the prevention of corruption. We aim to make all operations clear and transparent. You can find Swedbank Group’s Anti-Corruption Policy here. When businesses apply for financing, we first assess the sustainability aspect of their activities. Using a special analysis model, we assess the company’s policy and practice in the fields of human rights, environmental protection and anti-corruption. We also take into account whether a business applying for a loan ensures human rights in its practice, such as the supply chain, personnel management and community-based activities. The Swedbank Group guidelines used for the assessment of sustainability risks can be found here. Documents regulating the sustainable activities of Swedbank Group are provided here. All our employees are covered by a collective agreement. We have a Work Council, which represents the interests of employees, submits suggestions regarding the organisation of work or the improvement of the employment situation and defends labour rights. We offer additional paid leave of absence to employees for their length of service, studies, parenthood and other cases important for the employee’s family. All Swedbank employees are covered by health insurance. In order to determine employee opinion, we organise an annual survey, the results of which are discussed and all necessary actions implemented. We promote a lifelong-learning culture in the organisation, and aim to see that every employee improves and develops. Moreover, we provide the necessary conditions and initiate related activities. We invite employees to engage in voluntary activities, provide an opportunity to do so at work, and encourage them to contribute to meaningful social activities. In this way, we share our competence and knowledge, while contributing to the solution of relevant social and ecological problems. Starting in 2016, the bank has been carrying out an employee volunteering project “The Summer of Good Works”. In this project, bank employees team up and select a meaningful and important activity. The bank provides a paid day off for this activity and helps to implement the idea. We have an approved Gender Equality and Diversity Policy. We have achieved a 40/60% ratio of men and women at the top level of managers. All Swedbank managers participate in training for equality and diversity. We have reduced by up to 1% the unreasonable difference in salaries paid to men and women holding the same office. In order to create equally good conditions for all employees, we want to be a flexible employer. 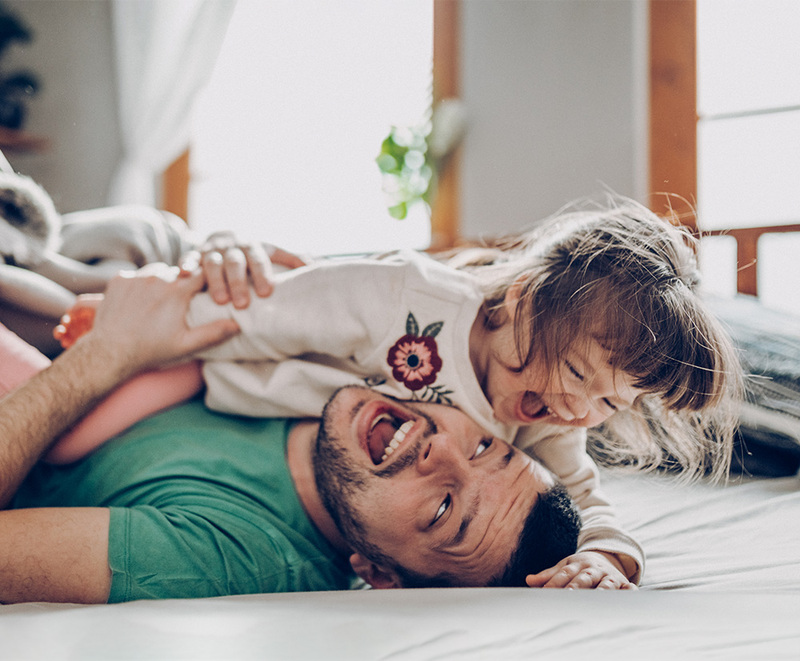 Moreover, we provide opportunities for early or gradual return from parental leave, for agreeing with managers regarding flexible working schedules or working at a distance. We have also established after-school places for children. We encourage society to share its knowledge with the young generation. We therefore launched the professional volunteering initiative “I will be_” where professionals working in various fields are invited to share their experience with schoolchildren, thus helping them to choose a profession. The Institute of Finances is an educational branch of Swedbank, with a mission to develop financial literacy by encouraging residents and businesses to choose sustainable habits of financial management. This Institute implements educational activities and shares information and advice on matters of financial management. In this way, we aim to increase the financial stability of society and small business. Swedbank Institute of Finances cooperates with institutions of general education, academic communities, public and non-governmental organisations and together implements initiatives, helping to raise public awareness about the proper management of personal finances. The Institute participates in a dialogue with various social groups. In 2015, we initiated the project “Everyone Can Be Big” to engage society in strengthening small business. It is a long-term project by which we are looking to raise public awareness about the connection between small business and a strong national economy. The most important objectives of the project are to help small businesses present themselves to a larger audience, to provide the necessary knowledge and to demonstrate opportunities enabling them to attract more customers. There are many excellent ideas and initiatives waiting for some help from all of us. In cooperation with the first donation portal in Lithuania www.aukok.lt, we introduce different social projects and seek to create conditions for simple and safe donation. Learn about the projects, share your kindness, and contribute to making meaningful initiatives happen. It doesn’t matter how big your donation is. Donate and show that you care! Donation Environment. Together with its partners, Swedbank organises a discussion festival “Makes Sense!”. It is an open, non-political, free event, whose aim is to promote a national culture of discussion and listening, tolerance for different attitudes, civil engagement, and an improvement in the quality of adopted decisions that are essential to society. We believe that by openly discussing and sharing our positions we can more successfully seek the best solutions for a common vision of the state. More information about “Makes Sense!” can be found on the official festival website: http://diskusijufestivalis.lt. In 2017, seeking to increase gender equality and the engagement of women, Swedbank initiated “Go Forward!”, the first international conference in Lithuania addressing the subject of successful careers and leadership for women. At this conference, many famous local and international leaders shared their stories, ideas, works and plans, aiming to inspire other women to follow their example, refuse stereotypes and bravely change the world of business, science and culture. Due to its great success, the conference became an annual event. More information about “Go Forward!” can be found on the official conference website: www.goforward.lt. The possibilities for engaging Swedbank employees and customers in the project. If you would like to contact us regarding opportunities for cooperation or support, please complete the following form. Kurią „Swedbank“ rėmimo ir socialinių iniciatyvų kryptį atitinka Jūsų projektas? What kind of cooperation do you expect? Every year Swedbank in Lithuania submits Progress Reports. Progress Reports are only available in Lithuanian language. Swedbank Group Sustainability Reports can be found here. Swedbank Financial Statements are available here.